Google AdWords, the largest digital marketing service, has finally launched the much-anticipated responsive ads. Now, you can Google AdWords with multiple headlines and two different sets of descriptions. In contrast with non-responsive ads, Google will have multiple versions of the same advertisement message which it will use in different combinations to find out which headlines and descriptions garner the most attention. What are the advantages of Responsive Ads? The first and foremost advantage of responsive ads is increasing the reach of your digital marketing campaigns exponentially. Their ability to transform into different shapes and styles, from image ads to text based ads, allows your advertisement to be displayed in more locations. More importantly, it makes your ads adjust according to different devices allowing your message to reach more people through smart phones and tablets. Furthermore, it provides you the ability to keep track of where your audience is seeking you from and redirect your marketing dollars accordingly. Secondly, responsive ads would allow you to save a considerable amount of your valuable time and money. By allowing you to reach a wider audience in the same marketing budget, it allows you to make the most out of your marketing dollars. Moreover, you save the costs involved in creating different ad templates, posters and designs as Google’s responsive ads do it on your behalf automatically. How can responsive ads help your law firm? Google AdWords is potentially one of the most comprehensive Law Firm Marketing Solutions. 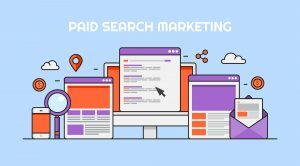 You can spread the word around about your law firm in a far more professional and effective manner by running a campaign on Google AdWords. Digital Marketing for lawyers has never been easier before the advent of marketing agencies. By simply hiring a proficient marketing agency with experience in dealing with law firms, you can increase the number of your clients exponentially. In this digital era, conventional methods of marketing have been overtaken by digital marketing. By making the most of the ease provided by modern digital marketing tools, you can ensure your law firm’s continued success and growth. If you wish to find out more about how these new responsive ads can benefit your law firm or have any queries regarding digital marketing, contact Forward Marketing right away at (888) 590-9687.